Provides your body with the nutrients it needs to clear up and keep acne away. 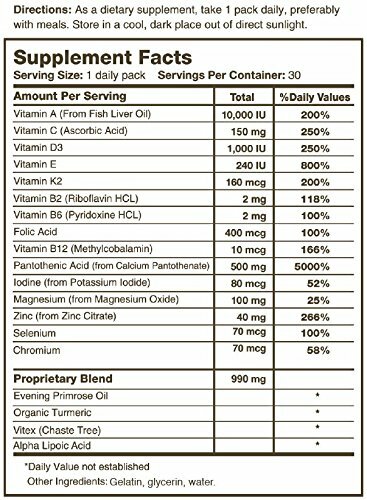 Compare our ingredients and quality and you will understand why this is the best clear skin supplement on the market. The Clear Skin Vitamin Pack acne supplement is a combination of vitamins, minerals, and herbs known for their benefits to acne prone skin. Besides helping you clear up your skin naturally, it will help your skin glow. Glowing skin is healthy skin. Why is the Clear Skin Vitamin Pack the best acne supplement? 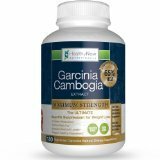 -Highest rated acne supplement available. -Contains the highest quality acne vitamins and minerals. -Works on all kinds of acne, genetic acne, hormonal acne, adult acne, cystic acne,pimples on back or back acne, chest pimples, teenage acne. What are some of the quality ingredients? Vitamin A for acne: All quality acne supplements should include vitamin A from a fish liver source as it is the best form of vitamin A in the treatment of acne. Zinc for acne:most other acne supplements use a cheaper form of zinc, the Clear Skin Vitamin Pack contains zinc picolinate which is a higher quality, more bioavailable form of zinc and has been shown to be the best form of zinc for treating acne among peer reviewed research papers. Vitamin D for acne:Vitamin D3 helps your skin become soft, strong and smooth, boosts your immune system, and reduces inflammation. Pantothenic acid for acne: Pantothenic acid can help metabolize skin oils, counteract hormonal imbalances, increases your blood circulation and reduces your stress levels! We have not included biotin in the Clear Skin Vitamin Pack as biotin can often lead to acne breakouts in many people, which is exactly what we are trying to stop! 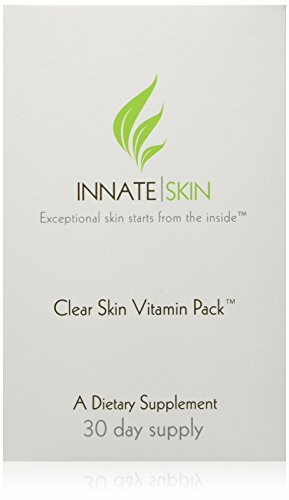 If you are looking for acne pills or an acne supplement, before trying an acne medication, give the Clear Skin Vitamin Pack a try and we will stand behind its results with a 75 day money back guarantee. This acne supplement contains the best form of zinc, zinc picolinate. 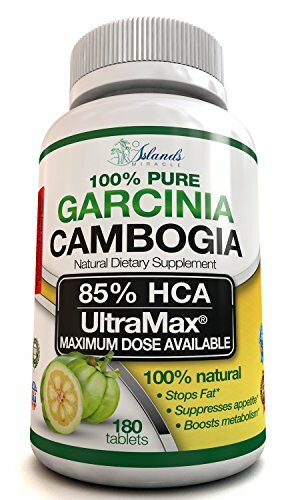 Made in the USA: Manufactured and packaged in facilities that are NSF Certified and in compliance with Good Manufacturing Practices (GMP) as established by the U.S. Food and Drug Administration (FDA). 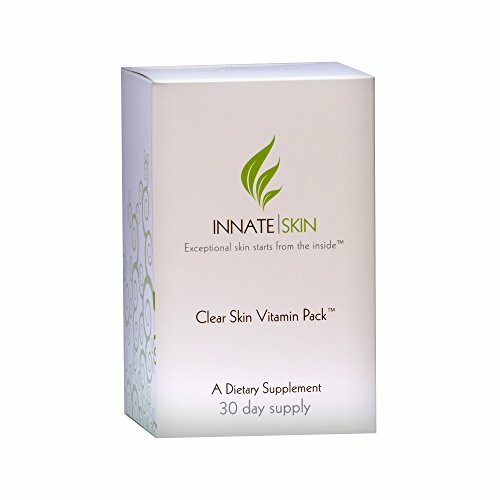 Be the first to review “Clear Skin Vitamin Pack Acne Supplement – 30 Day Supply of Acne Supplement” Click here to cancel reply.